Guts Casino is one of the leading multi-provider real money casinos on the Web. Licensed by the Malta Gaming Authority and protected by eCOGRA, Guts provides a safe and vibrant site for Australians to play a wide variety of casino games from a collection of the world’s leading game developers including Microgaming, Net Entertainment, BetSoft, Play’n Go, Thunderkick, QuickSpin and Evolution Gaming. 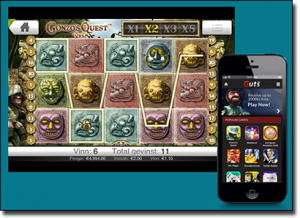 Guts is an instant-play casino, which means games can be accessed directly over your Web browser without having to download any specific software. Powered using Java and Flash, games are quick to load, using high-resolution graphics which make for a premium gaming experience. Given its web-play format, Guts Casino can be accessed using PC, Mac, laptops, tablets and smartphones, on any browser including Safari, Chrome, Firefox, Edge or Explorer. Double Deal Monday – deposit on Monday to receive a 40% deposit bonus up to $40 plus 15 free spins to use on a designated pokies game. Thursday Triple – deposit on a Thursday to receive up to 60 free spins to use on the Game of the Week. To see what latest one-off promotion Guts is offering, head to the promotions page at any time and make sure to sign up to receive promotional emails. 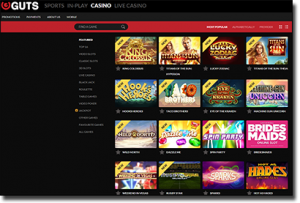 If you’re looking for a casino game variant, chances are you’ll find it at Guts, with hundreds of high-limit and low-limit games to choose from. While the site is dominated by the huge collection of video pokies, there is also a fabulous selection of table games, live dealer games and mini-games. Pokies – classic pokies, fruit slots, video pokies, three-reel pokies, five-reel pokies, progressive jackpot pokies, 3D pokies, 243/1024/3125 ways-to-win pokies, MegaSpin pokies. Table games – blackjack, roulette, baccarat, craps, video poker, multiple poker variants. Other games – bingo, keno, virtual sports, virtual racing, scratch cards. Live dealer games – live blackjack, live roulette, live three card poker, live baccarat, live baccarat squeeze, auto-roulette live. If poker is really your jam, you can choose instead to play at the exclusive Guts Poker site – just click the link at the very top of the Guts Casino homepage. The poker site operates separately to the casino, with its own set of promotional offers and loyalty program, although you can use the same account to access both sites. At Guts Poker you’ll find tonnes of real money poker rooms and poker tournaments, with plenty of poker variants available including Texas Hold’em, Omaha Hi, Omaha Hi/Lo, Razz, Five-Card Draw, Five-Card Stud and Seven-Card Stud. Guts offers an instant-play mobile site accessed on both Apple and Android operating systems, with no app downloads required. The mobile site offers a condensed version of the full desktop site, but contains the most popular titles, including one of the best selections of mobile blackjack variants we’ve yet to see. There are hundreds of mobile pokies available, including close to the entire BetSoft Slots3 collection of 3D pokies, with games perfectly optimised for smartphone and tablet play. Deposits made using any of these safe payment methods are processed instantly, so you can start placing real money wagers immediately. Winnings can be cashed out using any of these payment methods except for Skrill, with a maximum withdrawal of $5000 for all services, excluding Paysafecard which has a withdrawal limit of $200. Withdrawals can also be made to an Australian bank account. Guts has a comprehensive customer service section, which you’ll find by clicking the ‘help’ button which lies along the very bottom of the desktop site. Here you’ll find all kinds of detailed information about Guts Casino’s security, how to make deposits, game rules, bonus terms and conditions, and just about everything else. In the unlikely event you can’t find an answer to your query in the help directory or FAQ section, there are plenty of easy ways to get in touch with the friendly customer service team. Click the ‘live chat’ button to chat directly with a Guts employee, send an email to [email protected] or you can request a call back to speak to someone directly over the phone without having to fork out for the phone bill. Whatever your query or concern, Guts has you covered. Guts Casino is one of the finest casinos you’ll find on the Web. Not only is it a great looking site easy to navigate and use, but the game variety is second to none. 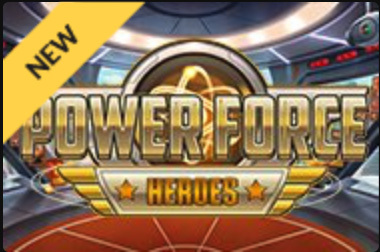 We love games from premium developers like NetEnt, Microgaming, BetSoft and Thunderkick can all be found under the one roof, with new titles appearing regularly to ensure there’s always something fresh on the go. As far as promotional offers go, Guts is up there with the best of them, with an exciting and rewarding bonus offer never far away. A must-try online casino for Australian punters. Follow our links to sign up for an account with Guts.com today and you’ll 10 free spins to use on Piggy Riches, with no deposit required. Play for real money to receive a tantalising welcome bonus of up to $400 in matched deposits plus 100 free spins on Starburst.